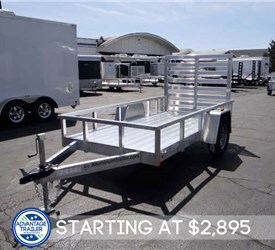 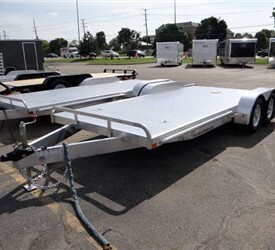 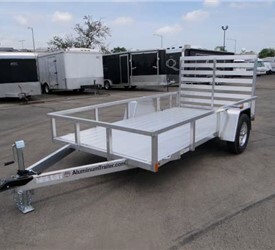 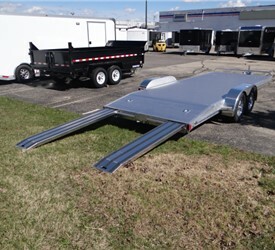 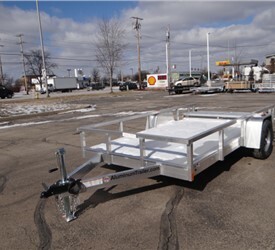 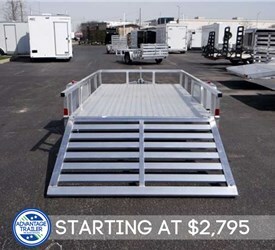 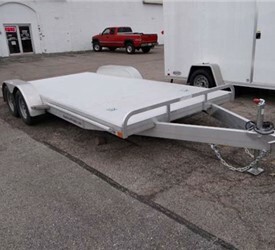 Aluminum open trailers are one of the most utilized in the industry. 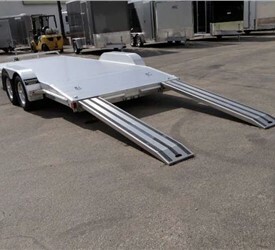 Although the demand for these is unique, it’s also widespread across a spectrum of industries. 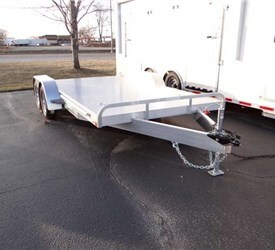 Open trailers can be used for both commercial and recreational purposes, but in order to work properly, they must be high quality. 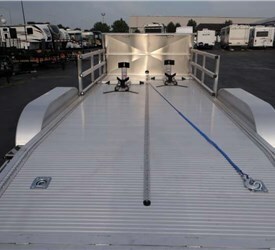 At Advantage Trailer, we offer a wide variety of pre-built and custom-made open trailers. 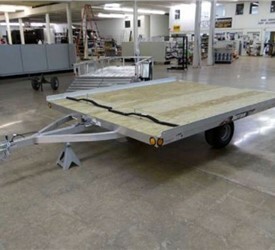 Coming in sizes from 4’ x 6’ to 53’ long, we have a slew of options to suit your spatial needs. 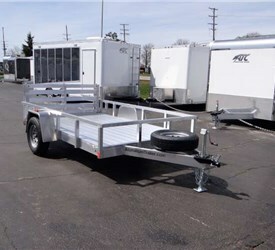 Since we prioritize customer service, our talented crews will work with you to help you craft the perfect trailer. 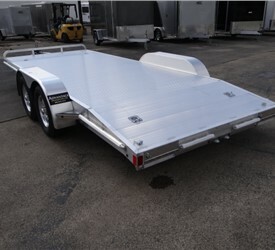 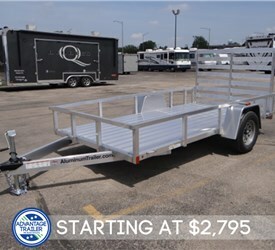 Our aluminum open-top trailers are durable and perfect for light or medium-duty hauling. 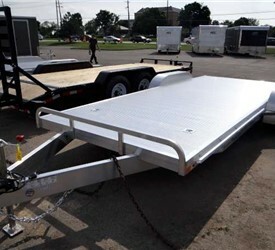 Whatever you need for you trailer, we can make it for you. 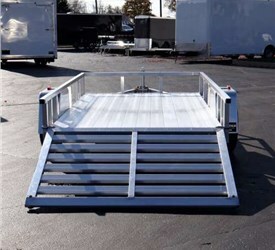 Our expert designers and fabricators have been in the business for a long time and have tackled many unique projects. 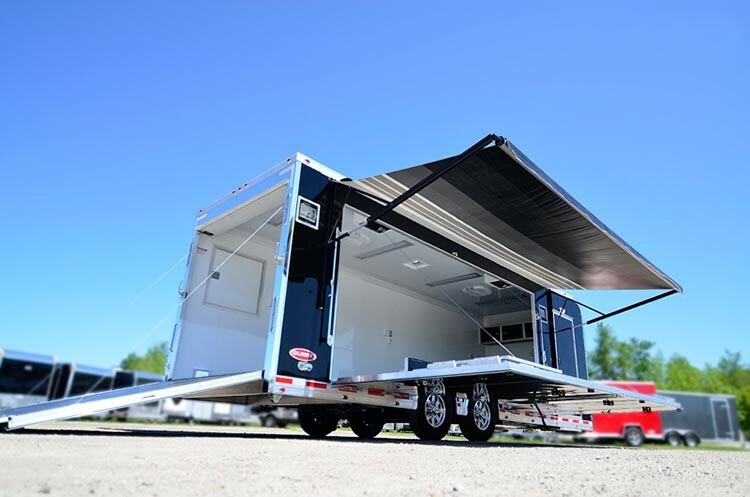 In fact, we’ve never turned a request down and don’t plan on it, so whatever odd specification you might have, just ask and we will build it for you. 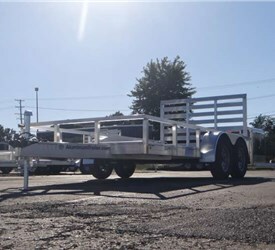 As the leading ATC dealer, we have access to a wealth of different trailer types and accessories, so no job is out of our wheelhouse.